Inching ever closer to a Cabinet position with each passing day, Kanye West now plans to attend the signing ceremony for the new Music Modernization Act while swinging by the White House Thursday, Billboard reports. The New York Times initially revealed the details of West’s visit, purportedly to discuss prison reform with Jared Kushner and Chicago job creation with President Trump. Now, he’s cramming a bill becoming law into his already packed schedule. The Music Modernization Act will reportedly establish a “blanket mechanical license and a centralized system to administer it,” in addition to requiring digital and traditional radio to pay royalties on pre-1972 recordings. Passed on September 18, the bill now needs only Trump’s signature to become law. Recording Academy president Neil Portnow and Recording Industry Association of America president Mitch Glazier, among other music industry figures, will also join Yeezy at the signing, scheduled for 11:45 a.m. ET. 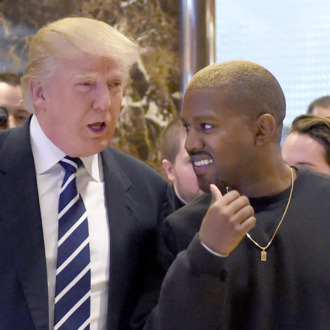 After a quick lunch, Trump and Kanye will probably sit down to hash out West’s 2024 campaign strategy, because that’s where all this is really headed, isn’t it?